Good morning and happy Monday sweet thangs! 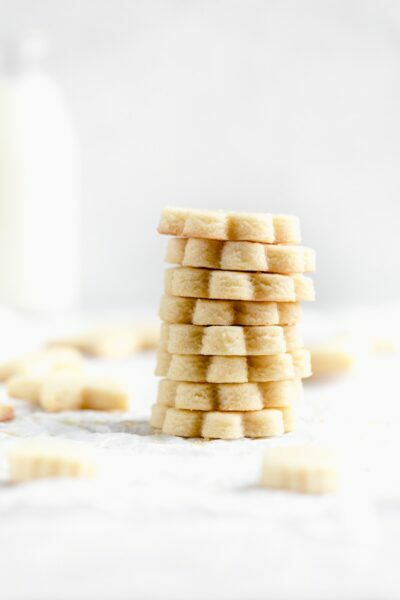 Sofi here with my absolute FAVORITE roll out sugar cookie recipe. Sarah’s all about chocolate, but I’m a vanilla girl and sugar cookies are my weakness. Chocolate lovers can judge me, but I think we can all agree that a tender, chewy sugar cookie is a baking staple everyone should have in their back pocket. We got you covered with these perfect sugar cookies. 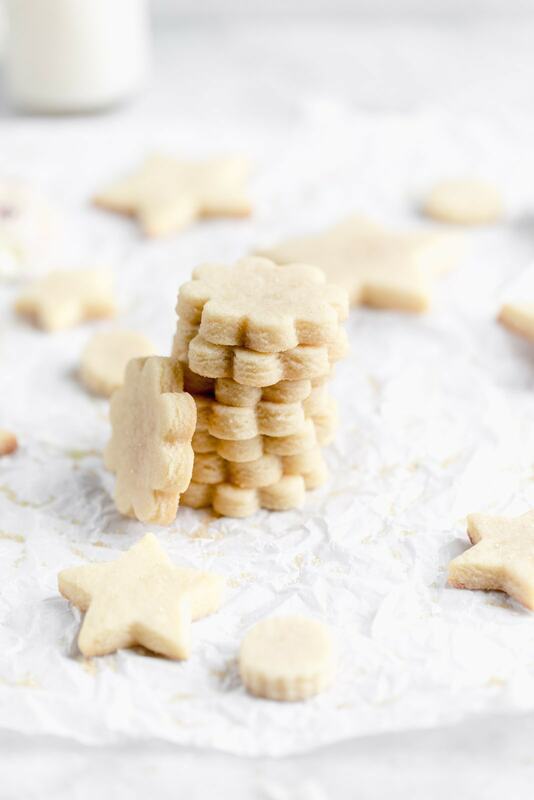 This sugar cookie recipe has been in my family for ages (though I’ve tweaked it over the years to get it just right) and it’s the perfect chewy, flavorful, buttery sugar cookie recipe…need I go on? The best part about these cookies is how easy they are. If you’re feeling lazy you can just sprinkle your shapes with colored sugar and call it a day. If you’re making these sugar cookies for a special occasion, whip up a royal icing and decorate to a T! The actual dough comes together in minutes, which means you can spend more time decorating these cut out sugar cookies. Make sure all your ingredients are at room temperature: If there’s one thing that can throw off a recipe, it’s ingredients being at different temperatures. You’ll want your butter and egg at room temperature to ensure everything incorporates seamlessly! Use a combination of vanilla and almond extract: This is a trick I learned when I worked for a bakery and I don’t know why it’s not more common knowledge. 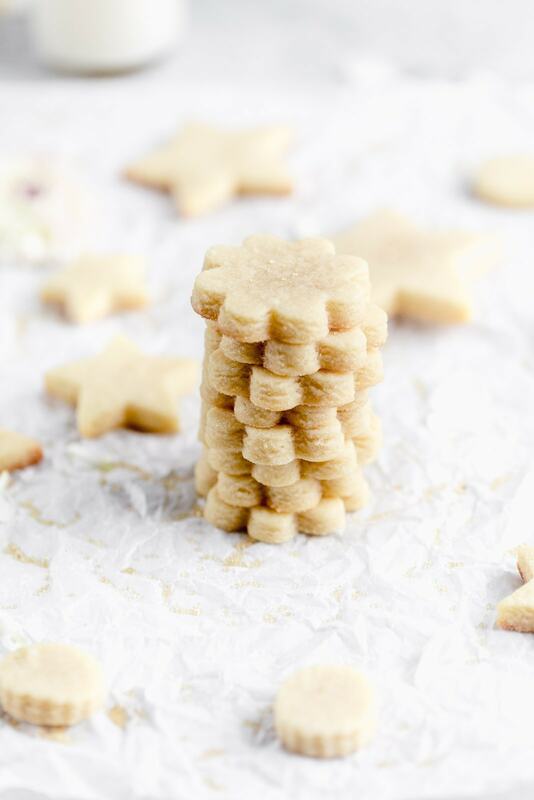 These sugar cookies have 1 1/2 teaspoons of vanilla and a 1/4 teaspoon of almond. You won’t really taste the almond, it just helps to deepen the vanilla flavor profile! 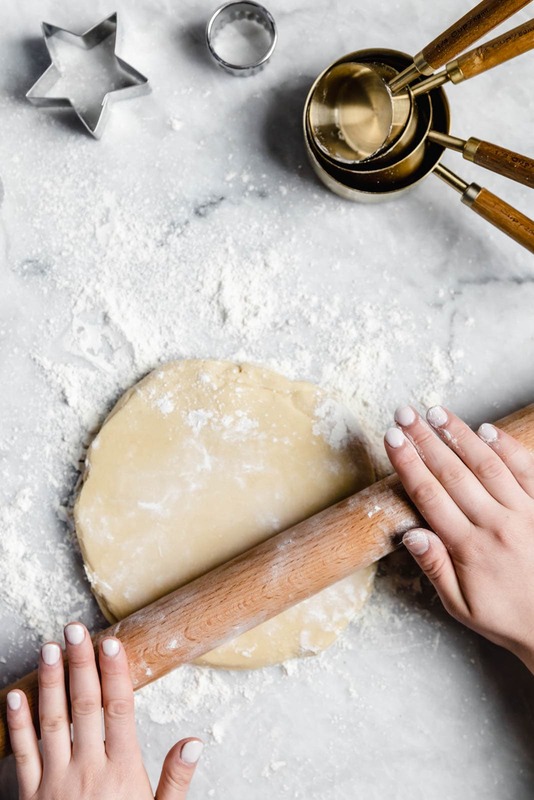 Refrigerate your dough before rolling out: I’m impatient too, so I get it, but that time in the fridge that your sugar cookie dough rests will help the cookies to keep their shape and also allow all the flavors to settle in. We recommend refrigerating for at least an hour, but you could always make the dough the day before or freeze it far in advance! So without further ado, let’s get to these amazing sugar cookies. Step One: Beat the butter and sugar together until just mixed. Something weird about this recipe is that you don’t beat the butter and sugar until light and fluffy. You want everything to be fully combined, but not aerated. This will create that dense, chewy cookies that’s the perfect base for frosting, sprinkles, or sandwiching together. Step Two: Add the egg, vanilla extract, and almond extract. 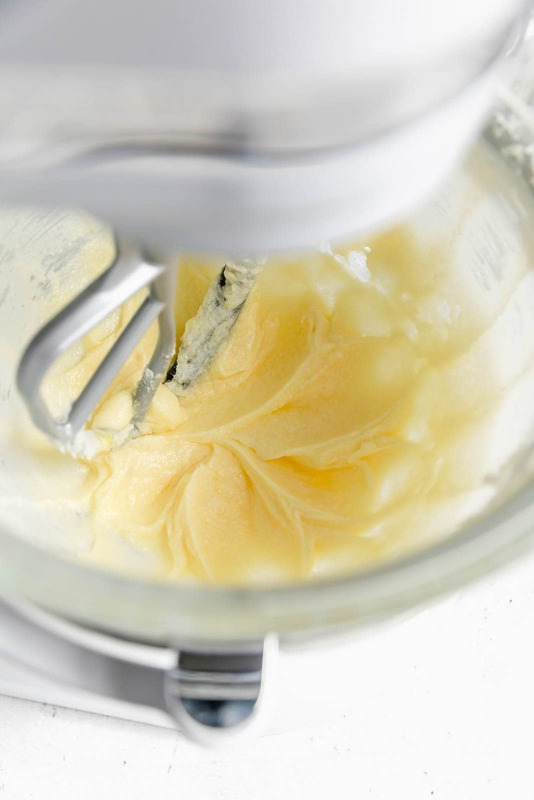 Make sure your egg is at room temperature to ensure it incorporates into the butter and sugar mixture seamlessly. The combination of vanilla and almond is actually a little trick a bunch of bakeries use in their vanilla flavored baked goods! 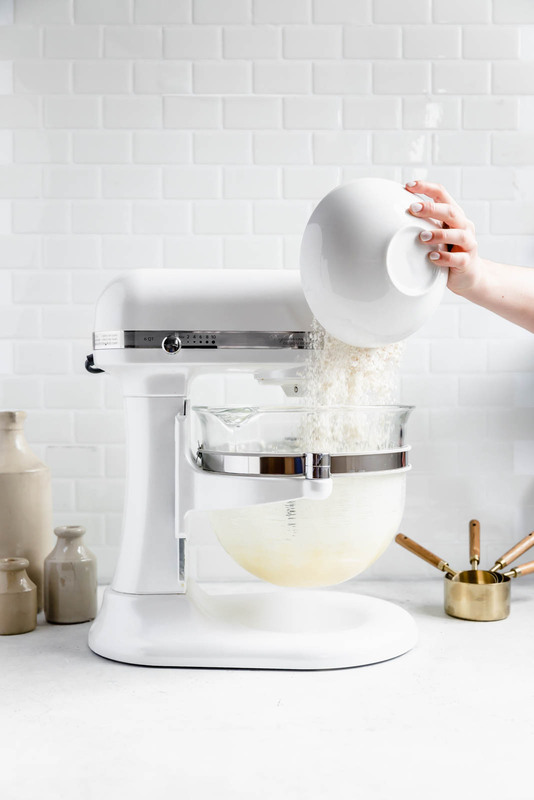 A vanilla and almond combo creates a more complex flavor profile that’ll take your sugar cookies from homemade to bakery style. Step Three: Scrape down the sides of the bowl and add the flour and salt. Using a rubber spatula scrape down the sides of the bowl to make sure everything gets incorporated fully. Add the flour and salt and beat for about 1 minute. You don’t want to over beat your dough, but working it just enough will help the cookies to keep their shape when you’re rolling them out! Step Four: Form a flat oval disk and refrigerate for at least an hour. Wrap the dough in plastic wrap or place in a sealed bag and form in a flat oval disk. The dough will still be soft, but should hold it’s shape. Refrigerate the dough for at least an hour, or up to 24 hours. If you do refrigerate your dough longer, take the dough out about a half hour before you’re rolling it out so soften up a little. Step Five: Preheat oven to 350°F and line a baking sheet with parchment paper. You probably know this already, but we can’t live without parchment paper. It will give your cookies a crunchy edge, but allow an easy release to ensure any delicate shapes don’t break! Step Six: On a floured surface roll the cookie dough out to about 1/4 inch thickness and cut out cookies. On a very well floured surface (you want to make sure nothing sticks!) roll out your dough disk to about a 1/4 thickness. I usually just eye ball this, but if you want to be really precise this awesome rolling pin helps you roll dough out to the perfect thickness. 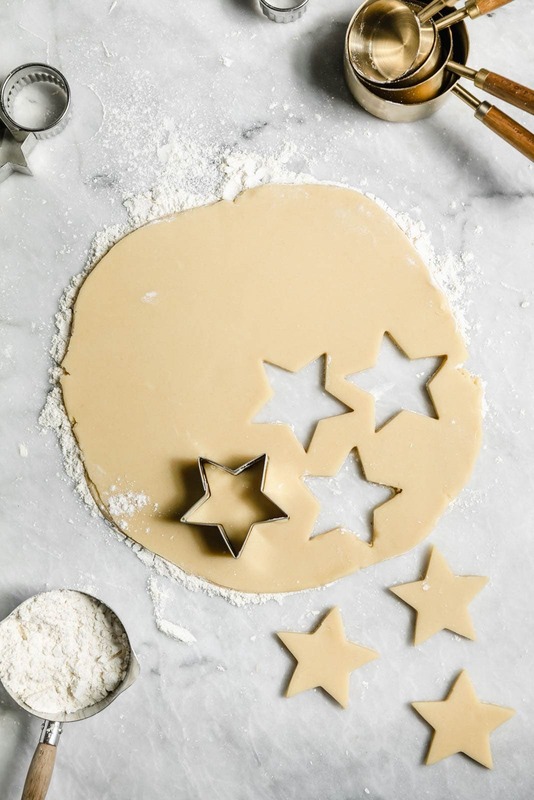 Use whatever size or shape cookie cutter you’d like! 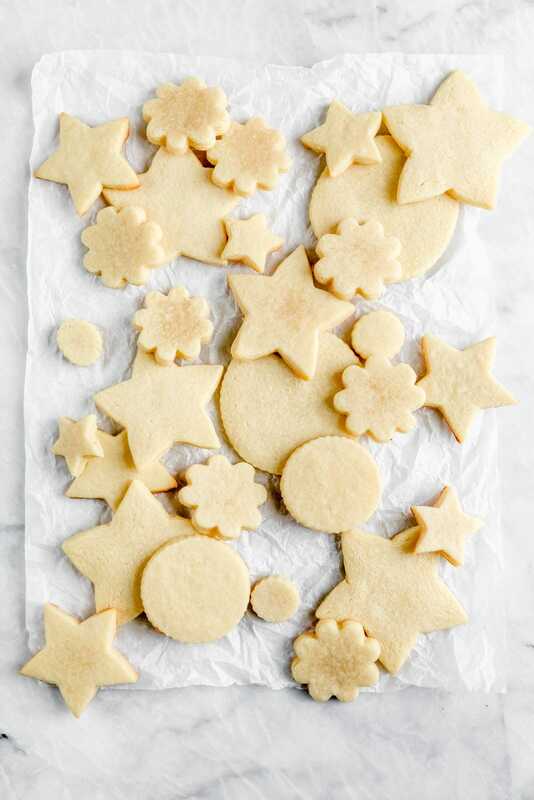 If you’re using an especially detailed cookie cutter, you might want to stick your cut out sugar cookies in the freezer for ten minutes before baking to ensure they keep their shape! P.S If you want to sprinkle your cookies with sugar do it now! 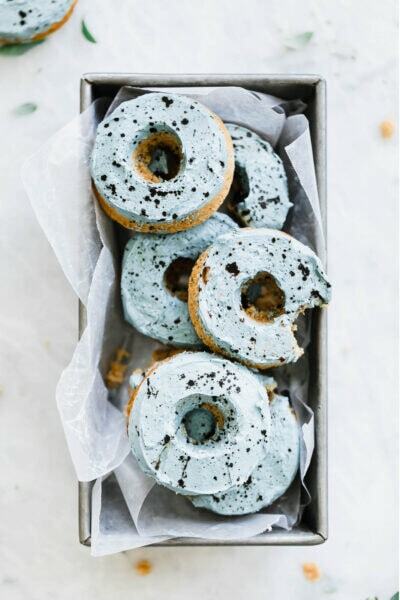 Transfer the cookies to the parchment paper, sprinkle with sprinkles, sanding sugar, or a colored sugar and you’ll have pretty cookies that don’t require any frosting. Step Seven: Bake for about 8 to 12 minutes (depending on the size of the cookies) or until the edges are just golden brown. Allow to cool and frost! 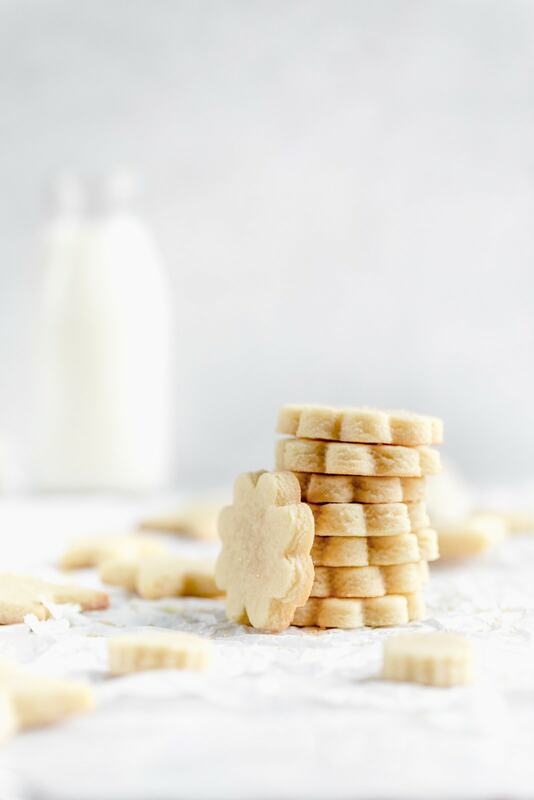 An over baked sugar cookie can be dry, and hard, so make sure you pay close attention to find that beautiful sweet spot of crunchy edges and gooey, chewy centers. Keep an eye on your first batch of cookies to figure out what the perfect time is for the size and shape of your cookies. You want to take them out when they are just starting to go golden brown on the edges, but still gooey in the middles. We hope you like these sugar cookies as much as we do! Be back Wednesday with some fun recipes for Easter! Looking for other staple recipes from Broma? Thank you for the cookie hints and tips. I did not know almond extract could enhance the vanilla extract. I never thought that different temperature ingredients could have an impact on the quality of cookie dough. Now I know how to make blah sugar cookies fab! You have almond extract listed twice in your recipe ingredient list. It’s only supposed to be there once, right? Our bad! Got a little excited about the almond extract 🙂 Should be fixed now! Looking forward to trying this. Assuming this is a typo that you have 1/4 teaspoon almond extract listed two times. Thanks. Looking forward to trying your recipe. Thank you so much for sharing. 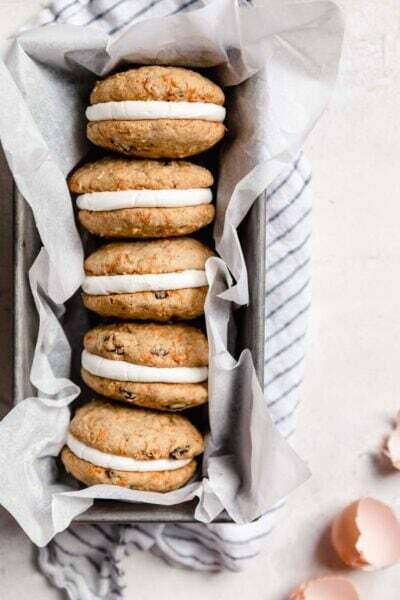 I have tried cut out cookies twice with my granddaughters and first ones were so hard we trashed them second time i read several hints online about refrigerating dough and using parchment paper and cook few min less than recipe calls for. Did all of this and the cookies spread out while baking and were flat and not rock hard but were so thin and lost shape. Couple questions: for butter I assume I should use real butter NOT margarine? Also I think I beat butter and sugar too long and was airy, would that cause them to go flat? Hey Patti! Great questions! Definitely use real unsalted butter–margarine can have a tendency to spread as it has a lower melting point than the real stuff. It sounds likes some other recipes you used might not have had enough flour or had you not refrigerate the dough long enough. 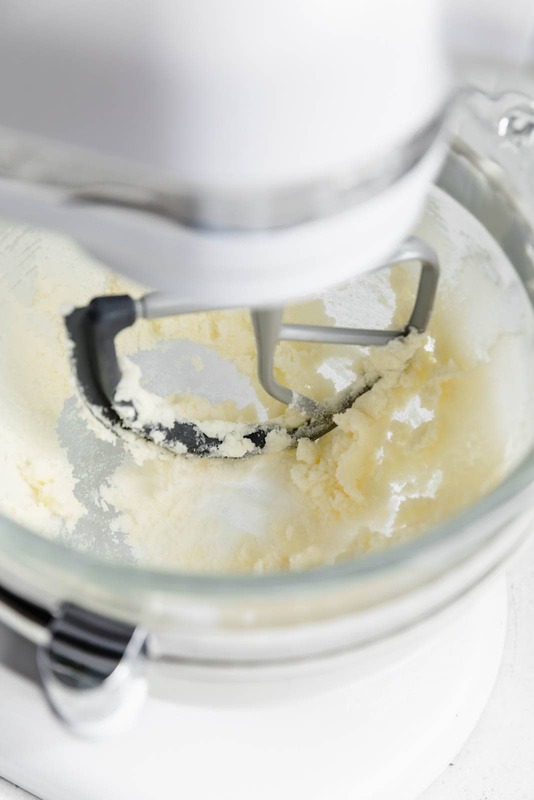 For this recipe you don’t want to aerate the butter and sugar. Just beat until combined! The dough should be soft, but still hold it’s shape at this point. Make sure you refrigerate the dough for at least an hour. If you’re worried about your cookies spreading, a trick we like to do it pop the baking sheet with the cut out cookies on it in the freezer for a few minutes which will help the cookies maintain their shape even more. Hope this is helpful for you and the granddaughters! Happy baking! Would you be able to share a basic buttercream or cream cheese frosting for sugar cookies? These look amazing, thank you! Hey Sarah! Noted! 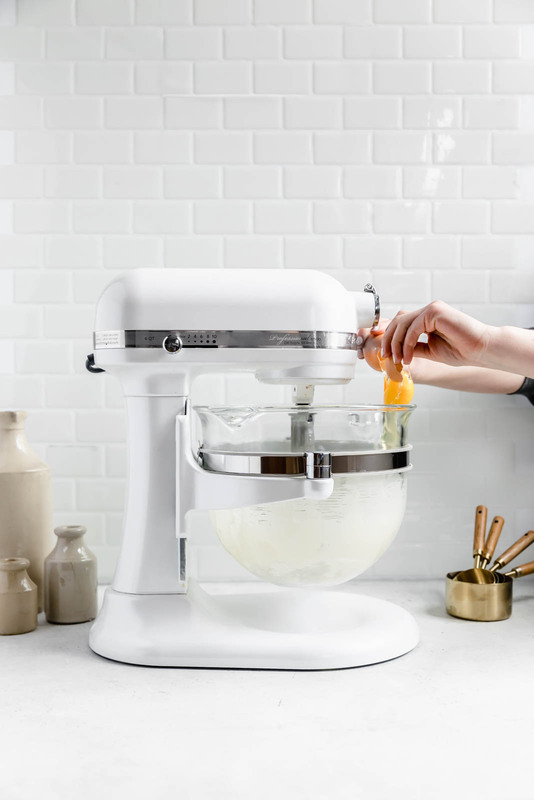 We’ll definitely be sharing out favorite frosting recipes soon! Hi, can ylu freeze the cookies? I would always flour the surface before rolling out the dough. If there was enough dough left over (there was usually quite a bit when the kids cut the cookies out) I’d gather up the left over dough and roll it out again. I found the extra flour affected the taste of the cookies. A friend told me she’d seen people on the Food Network use confectionery sugar instead of flour on the surface. I tried it but I thought he cookies were too sweet. Now I mix flour and confectionery sugar together to put on the surface before rolling out the cookie dough. 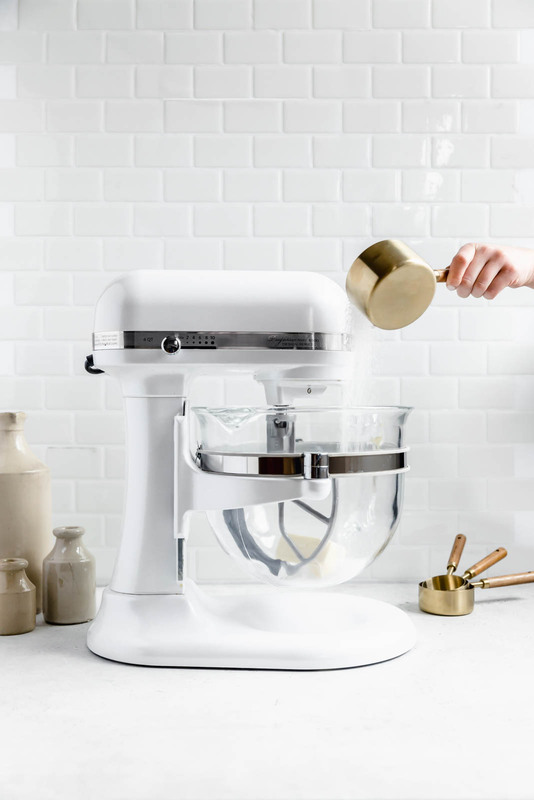 It works great, especially on the times you have to roll out the dough a couple times, the cookies always come out delicious. Ooh what a great idea! I’ve never heard of this powdered sugar trick, but it sounds intriguing. We’ll definitely have to give that a try! This are delicious – must be the vanilla/almond combo. So good! YAY. So happy you liked these cookies!